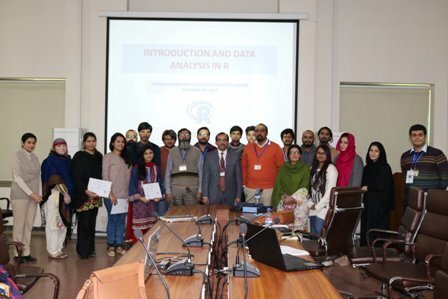 Forman Statistics Society organized a workshop on “Introduction and Data Analysis In R”. 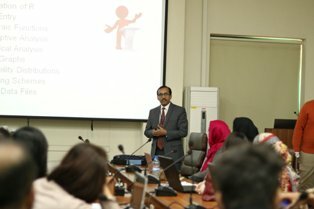 The lecture was given by Dr Muhammad Azam, Head of Department of Statistics at University of Veterinary and Animal Sciences (UVAS). 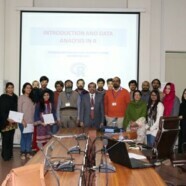 He gave the attendees insight about the importance of R in Statistics and also it’s implementation in data analysis. The students and faculty members participated actively in the workshop. 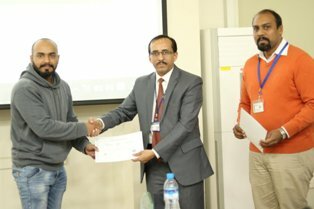 After the workshop, certificates of participation was given to the attendees by the honorable guest. In the end, a shield was presented to the honorable guest by Dr Sharoon Hanook, Head of Statistics at FCCU.